Happy Anna loves talking colors and harmony. But also of surprises. Between the sunflowers, which look deep into their hearts, you will discover carnations, Matthiola, and roses. 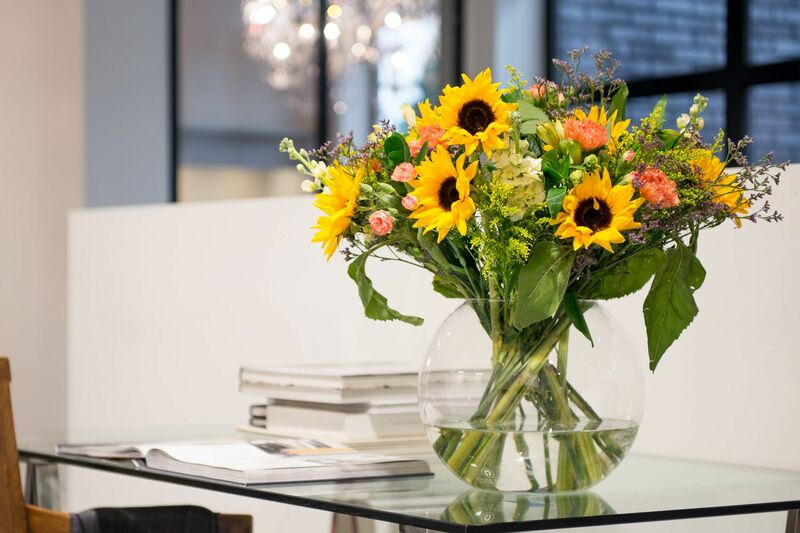 Take the space for Happy Anna, because this rich bouquet is quickly 50 cm in diameter and at least 50 cm high.